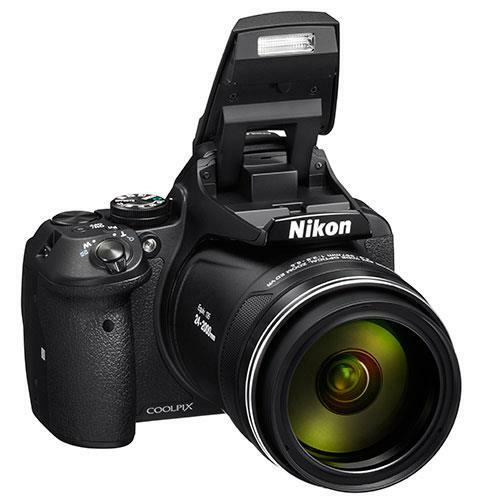 The Nikon P900 is a bridge camera that offers DSLR-like handling without the need for changing lenses, aimed at people looking for extensive zooming capabilities and great image quality in a convenient package. 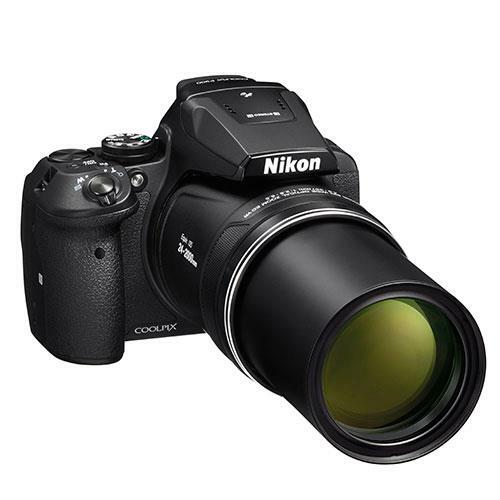 Packing an incredibly powerful 83x optical zoom lens with f2.8-6.5 aperture, the Nikon P900 went viral online as the “moon camera” following its release, as videos surfaced showing off its impressive capabilities. 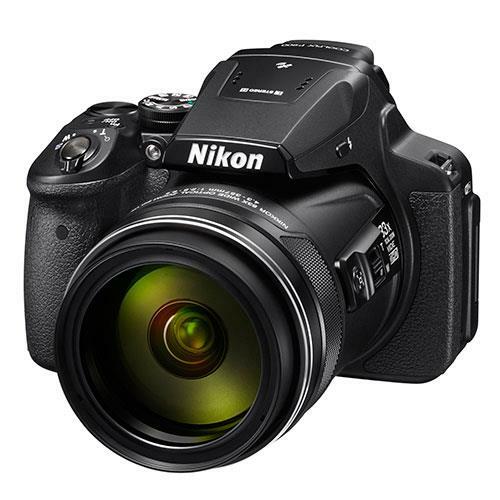 This highly versatile camera features a 16.0-megapixel back-illuminated CMOS sensor with Nikon EXPEED C2 image processing and 5.0-stop optical vibration reduction. The high resolution of the camera’s sensor means that you will be able to capture images that look good whether printed or displayed large on smart devices such as laptops, tablets and 4K TVs via HDMI micro connector. The P900’s EXPEED C2 processor offers highly detailed images and fast performance. Whether you’re interested in photographing portraits, wildlife photography or landscape photography and distant details, this camera will cover subjects near and far without the need for any additional lenses. This type of camera is particularly popular with people who are keen bird watchers, as well as individuals who are aiming to explore their photography and haven’t yet decided which area of image creation appeals to them most. The convenience of the P900 means you can easily pack it in your bag or wear it around your neck all day and still have plenty of room for your essentials and a small tripod if need be. 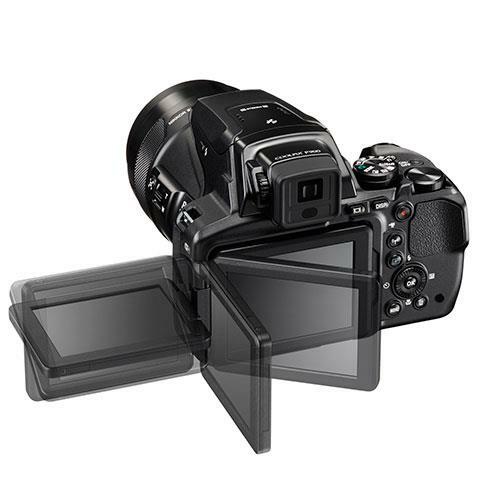 As well as its 3-inch 921k-dot vari-angle RGBW LCD, you have the option of the camera’s built-in electronic viewfinder for composing your images. Additionally, the P900’s screen can be tilted and flipped for improved visibility when shooting at creative angles. The camera’s mode dial, buttons and grip are conveniently positioned where your thumb and fingers sit naturally, providing quick access to the camera’s main controls. For those who are still growing in confidence, the camera features smart auto, creative/scene selection modes to take the pressure off. It also features modes specifically for photographing birds and photographing the moon. However, full manual control is available once you’re feeling confident enough to begin experimenting. People looking for a versatile camera that offers good image quality and superior zoom capabilities without the need for extra lenses should consider the Nikon P900. 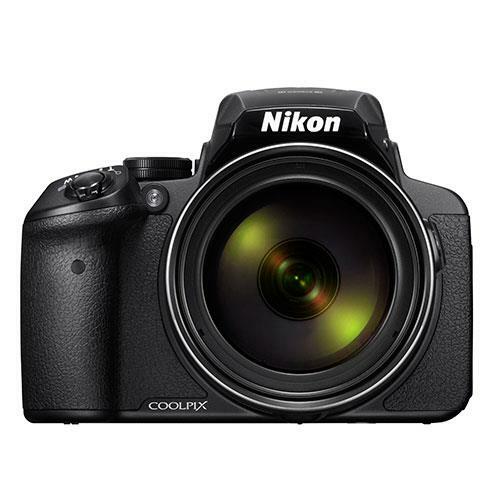 This camera is a compact all-rounder with an equivalent focal range of 24mm-2000mm, offering DSLR-like handling. The Nikon P900 records Full HD 1080/60p quality video footage, great for documenting travels and key life moments. Additionally, users can also take advantage of the camera’s intervalometer mode to create cinematic time-lapse movies. Nikon P900 owners can also connect their cameras to Android and Apple iOS smart devices using Wi-Fi and NFC, for seamless photo sharing and wireless camera control. This means you can easily share your photos on-the-go via email, as well as, messenger and social media apps. It also has built-in GPS, which tags the location of where your pictures are taken.